GODERICH – They were just two little words: Race ya? 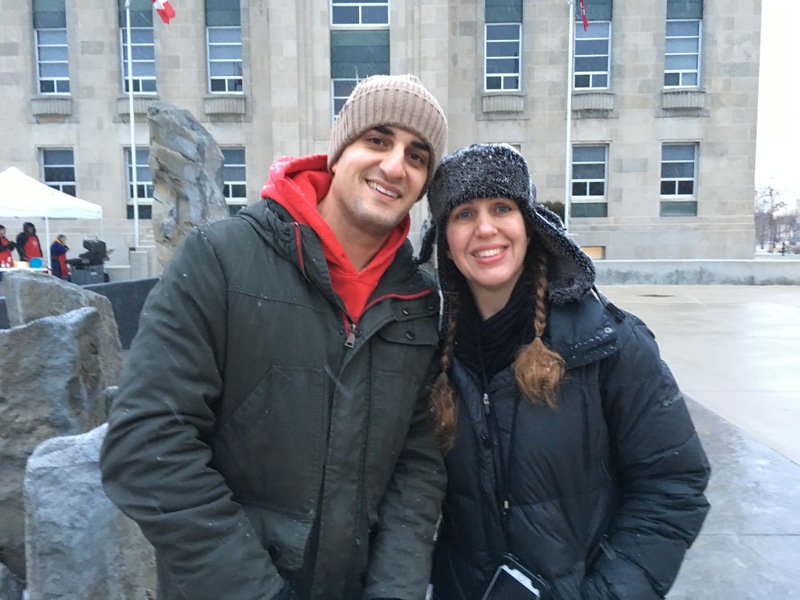 And suddenly this writer and Fadi Didi, a morning host from 104.9 The Beach, were walking very quickly toward the lineup of kids waiting their turn on the massive ice slide that popped up today in Goderich’s downtown. We finally got to the front of the line – a few kids butted, probably thinking no one over four feet high was taking a turn. 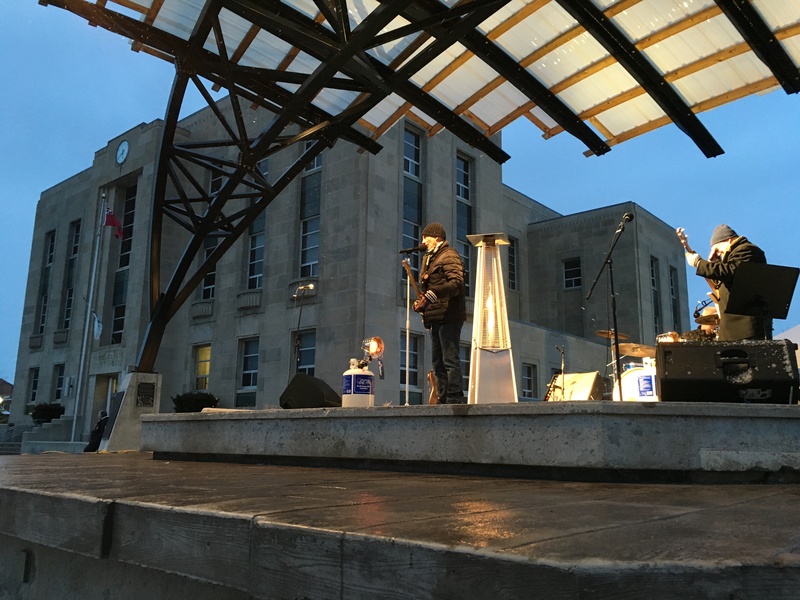 From the vantage point at the top, I could see the tic tac toe game in ice and the lighthouse ice sculpture, both assembled through the day, and could hear the Doug Varty Band playing a David Wilcox tune on stage, all part of the Goderich BIA ICEtacular celebrations. 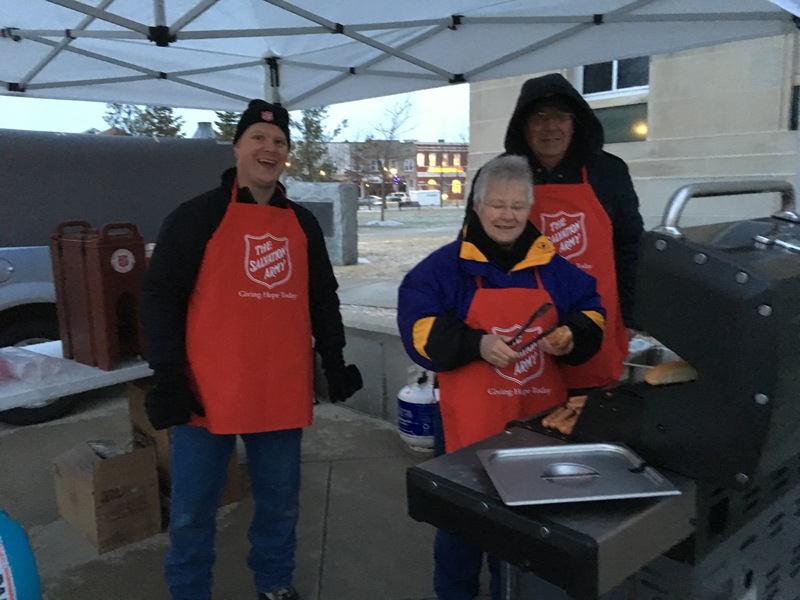 People mingled, some grabbing free hotdogs and cider, courtesy of the Salvation Army. I eyed up the competition, took stock of the slope in front of me, and tucked my adult body into the flimsy and ripped plastic slider. With a nod to the race master, I shoved off the ice block, and hurdled down the slope, the wind miaculously behind me and everything in front of me just a blur. Fadi was slow off the block and not even in my sight line. Sluggish, actually. The first-place finish was mine. Unfortunately, the designated photographer’s iPhone died and she didn’t get a picture of my win. Maybe she will tomorrow when I take on Coun. Trevor Bazinet. 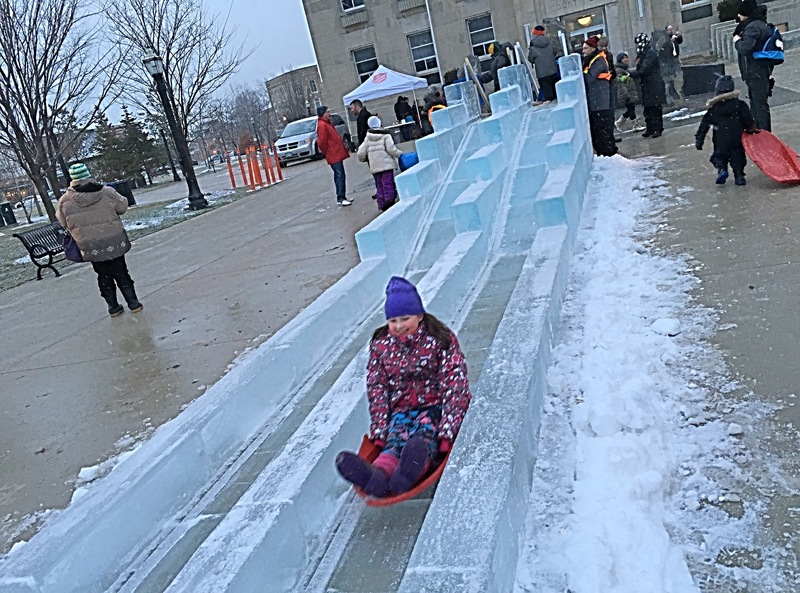 This weekend is the annual Winterfest Weekend, with its Rotary chili cook off at Suncoast Mall and snow-pitch tourney and dance at Goderich Memorial Arena tomorrow. New this year is the Goderich BIA’s ICEtacular event in The Couthouse Park, with more interactive sculptures arriving tomorrow. As well, more than $1,000 in prizes is up for grabs in the snowflake hunt at participating businesses in The Square.